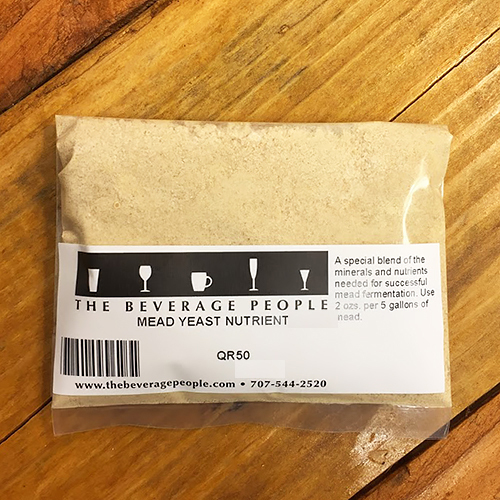 MEAD YEAST NUTRIENT 2 OZ. Another nutrient your yeast will need but cannot be put in this package is oxygen, so don't forget to aerate! Good choices of yeast for your mead fermentation can be found here. Add 2 oz. of Mead Yeast Nutrient into 5 gallons of mead must during preparation, late in the boil or just before cooling.